This blog is read by a wide audience around the world but is also targeted at our own teachers at St Andrew’s College. Occasionally, we post information that is not related directly to eLearning stories coming out of our College but would still prove useful to our teaching staff. 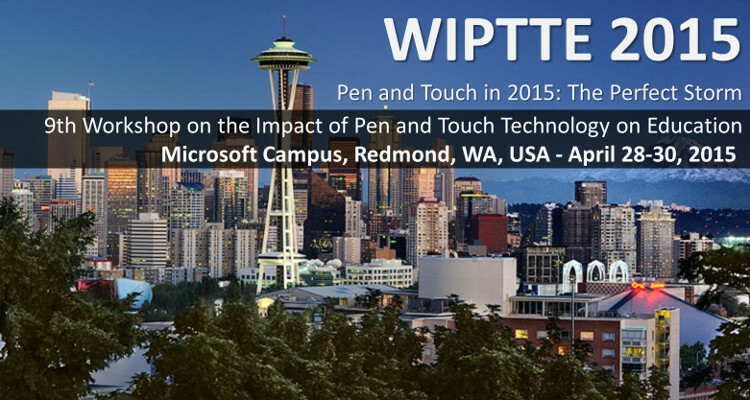 This post is simply linking to some of the videos shared from Microsoft that contains presentations from the Workshop on the Impact of Pen and Touch Technology on Education 2015 and useful research into the power of technology in education. This conference is going to be run again in 2016 and will no doubt produce more presentations of interest such as these. We are seeing increasing demand from teachers for the ability to “ink” on their devices and to be able to access more research showing the benefits of this for student learning is important. This entry was posted in eLearning, Technology and tagged Anoop Gupta, Education, eLearning, Information and communication technologies in education, Microsoft OneNote, Mike Tholfsen, MSFTedu, Pam Mueller, Pedagogy, Professional Development, rationale, Sharon Oviatt, Sierra Modro, St Andrew's College, Surface Pro 3, Technology, The Pen is Mightier than the Keyboard, The Power Of The Pen, Training, WIPTTE 2015, Workshop on the Impact of Pen andTouch Technology on Education by Sam McNeill. Bookmark the permalink.